De Burgh still "dreaming of the wide world"
All-out war -- or talking? Iran, U.S. leaning toward talks? War Immemorial Day � No Peace for Militarized U.S.
Jake Gyllenhaal Crowned Prince of Persia! Ellison to Host Forum on Iran; Choices to Make: Peace or Conflict? Dialogue and Diplomacy? Could the Bush Administration attack Iran during its remaining months in office? Iran's "Package for Constructive Negotiations"
Whither America, Wither the World? Are the Jews good for Barack Obama? Documentary: "Global Moms Iran" takes us behind the headlines, into the fascinating, and yet strikingly familiar home of our "enemy"
Iran asks UNESCO to name 2009 as "Ferdowsi Year"
Teachers' Day � But Which Teachers? Call for Proposals: "Teaching about the Middle East in the 21st Century"
Could the tail wag the dog? And should we care? What Do Google and Saddam Have in Common? PRIDE AND PAIN AT PARSA-POLIS: What Iran Has Given to the World and What Do We Know About it? IRAN: Can P5+1 Offer Break the Nuclear Stalemate? 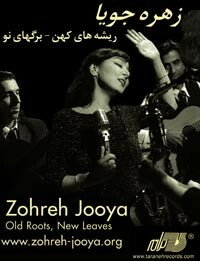 "Colliding with Nature's Best-kept Secrets"
PARSA Community Foundation Announces 2008 Norooz Grantees! NIAC Selects 2008 Public Service and Journalism Fellow! Whose side are they all on? You never know what's going to happen next! "OBLITERATE" IRAN? A REAL THREAT OR SIMPLY MEANINGLESS JARGON?